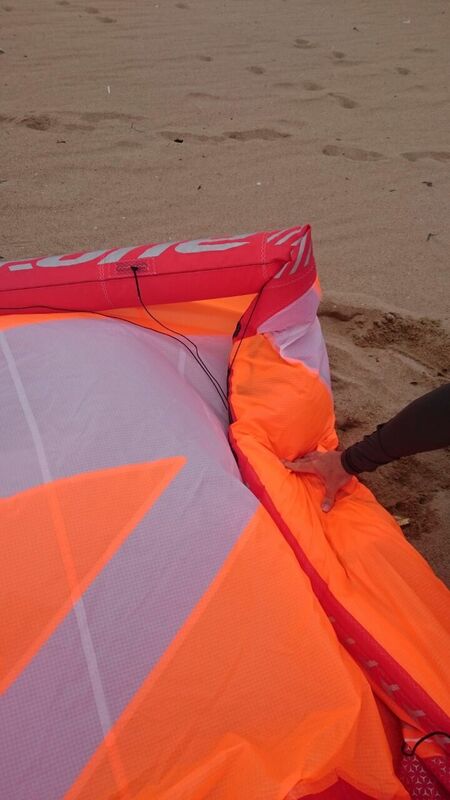 We have had a couple of bladders burst whilst pumping the kite up and it is really due to rider error … make sure that you unravel your kite properly before pumping. What can happen is the wing tip gets wrapped into itself which prevents the air from getting to the wing tip as it forms a blockage of sorts which can cause your leading edge. So when pumping always keep an eye on your wing tips and make sure that the open up properly as it could prevent your session from being ruined.